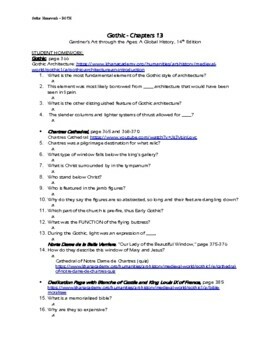 This is the homework I assign for APAH Early European & Colonial Americas: Gothic unit that correlates to Gardner’s Art through the Ages: A Global History, 14th Edition. 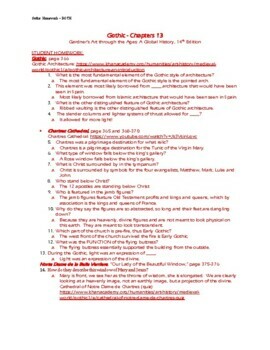 It includes questions for each of the required works in addition to Henry VII Chapel, Westminster Abbey. 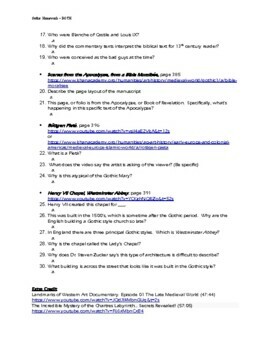 There are page numbers from Gardner’s, links to Khan Academy’s articles, videos (if available) and quizzes (if available). 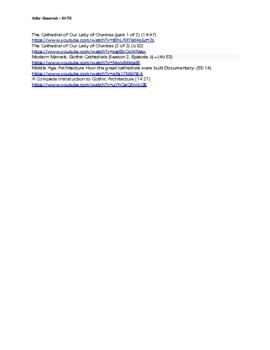 Additionally, I’ve included titles and links of documentary videos that relate to the unit that students may find helpful if wanting extra credit. This includes both questions and answers.